I recently became the proud owner of Nokia's new n97. One of the included trial applications which just blew me away for its 'utility' value is 'JoikuSpot' by Joikusoft. 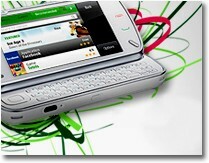 Please visit my post titled Finding The J-Spot On The Nokia N97 at Innovation Mentor for my thoughts.